but we have a new simple machine to share with you today that’s fun to make and fun to play with. The design is simple and can probably be figured out from the photo but we’ll walk you through it just in case. You’ll need wire (we clipped some off of a hanger), a washer, and two rubberbands. Create a “u” shape with your wire – this length of wire could make 2 noisemakers. Since my 10 year old wanted to do it himself our first one was a bit bigger than I would have made it for him but the wire is tough to bend. Keep in mind that wire is sharp so be careful! Using pliers bend the ends down to create a stop for the rubberbands. Wind up the washer real good. Place under a cushion or pill (or right under you) sit and wait for your first victim. When you’re ready to make the noise just lift up a bit. You’ll get the hang of it quickly! What is your favorite way to make embarrassing fart noises? As the mom of two boys, farts are a constant topic of conversation in our home. So, they will love making this!!! Oh my, I have a four year old who will love this. We recently went to the Scottsdale Hyatt Gainey Ranch after your posting about it. It was awesome (albeit crowded). Thanks for the heads up about such a fun resort! As a child we had one of these in a card and envelope. When you opened the envelope slightly to get the card out it went off and sounded like a rattle snake or a monster and would make you drop the card. Just in case you are trying to avoid the fart topic but want to try this!! My dad showed me this when i was a kid. We too wrapped it in paper inside and envelope we labeled snake eggs. We took it to school and let the other kids open up to see the snake eggs. It was always good for a laugh. 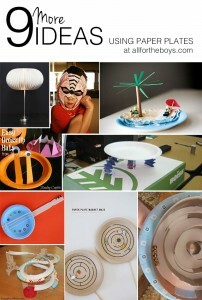 I can not wait to make this with my son! He is going to love it!